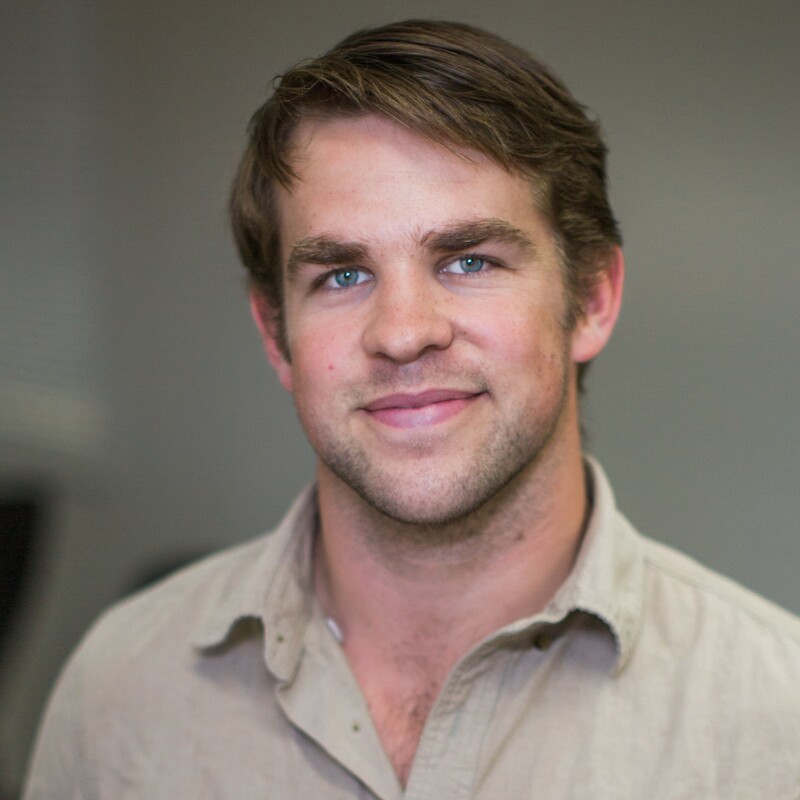 Brian joined VELO3D in 2015 and has held various process development roles in R&D. He is currently manager of Applications Engineering and holds a BS in Physics from Bloomsburg University. 3D Printing or Additive manufacturing (AM) will take us beyond our limits and open doors to innovation. But, while it opens new frontiers of what is possible in production, AM is in many ways, still its own frontier. Advances in software, hardware and process knowledge are critical if AM will become a more mainstream technology. Thankfully, the engineers at VELO3D are working on solving just those challenges. Our approach to co-developing software with hardware is based on a higher understanding of the physics behind the fusing process. The combination of pre-print simulation and real time, self-correcting print capabilities is unlocking new topologies not possible with conventional techniques. In contrast to casting, machining, welding, or other subtractive techniques, AM enables a speedier, less costly route to a finished part. The benefits of on-site, on-demand manufacturing are many -- but there are still drawbacks. Conventional AM solutions are held back by thermal deformation, a need for supports, and the requirement for many development iterations before an acceptable product is made. Advanced simulation techniques can help but only if the process, hardware, and in-situ metrology are sufficiently well-understood. Through an integrated approach, VELO3D‘s process aware simulation software can correct for build deformation and post processing issues before the build even begins. A look at stator ring geometry highlights how the simulation plays a role in pre-print quality improvements. For a stator ring, growing a full ring horizontally with Laser Powder Bed Fusion (LPBF) can be problematic owing to how the airfoil connects the two vertical hubs. LPBF is essentially a welding process, with a phase transformation from solid to liquid, and then back to solid as the melt pool cools below the transition temperature. During this cooling, the material shrinks, and the shrinkage while printing the airfoil can pull on the two vertical hubs creating stress and deformation. 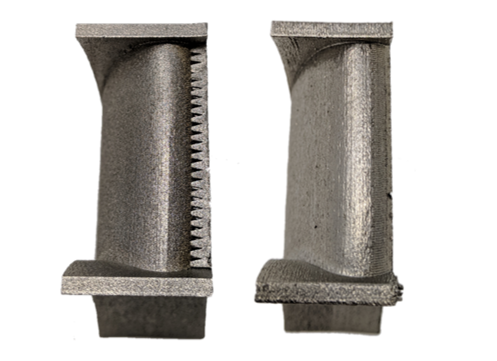 When the part comes out of the machine, what was designed as a vertical wall in CAD becomes bowed, especially where the blade initially connects. This creates a clear deformation in the printed part, as seen below. This type of deformation is inherent to the process and common in all LPBF systems. Addressing it effectively provides a solution to a general problem throughout the industry. Existing approaches to solve for deformation might include over-supporting around the deformation area. This obviously creates more material to print, adding to the cost of already-pricey metal powder, as well as adding extra post-processing work. Another approach involves thickening areas expected to experience deformation, which again adds more material, print time, and post-processing. A third approach to address this issue of deformation is to empirically correct the model based only on the printed geometry, not on the physical stresses throughout the build. This is a manual method requiring an experienced user and many iterations to get it right. The underlying simulation engine, developed by VELO3D, is tightly coupled with the specific process and hardware characteristics for the build. This allows for a higher fidelity than what is possible with third-party, process-agnostic simulation engines. The end result is that the corrected geometry, once printed, is significantly more dimensionally accurate than it would be without the correction. But even print corrections have their limits. 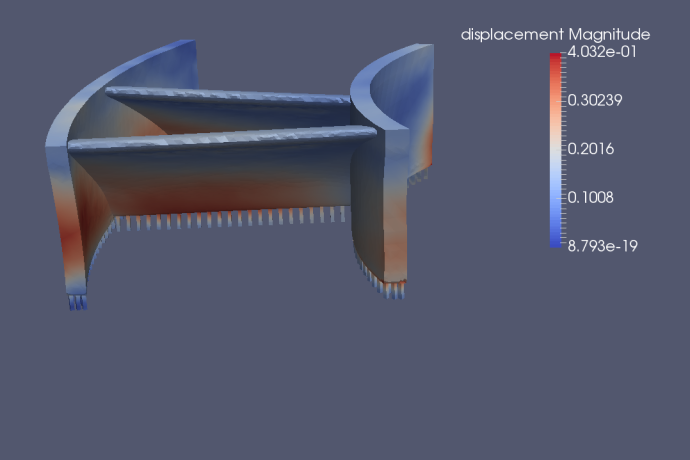 In addition to correcting the part deformation, the full simulation is also useful for predicting and preventing build failures. These failures can be caused by a specific process, e.g., in thin, low-angle features, or by support or part failure due to excessive residual stress. VELO3D’s SapphireTM system informs the user before the print if such a problem might arise. The designer can then make adjustments to the part and build setup and retest after correcting for the issue. This saves time and money by reducing the number of runs that would result in a failed build. With VELO3D technology accounting for and correcting deformation, post-processing and development time are significantly reduced. In many cases, users can eliminate machining steps, thereby significantly reducing the final part cost. Reducing the trial and error aspect of 3D printing and shortening time to production through intelligent software for insightful design helps to remove limitations of AM as we know it. VELO3D is helping users to realize the benefits of additive manufacturing, fulfilling the promises of the technology.